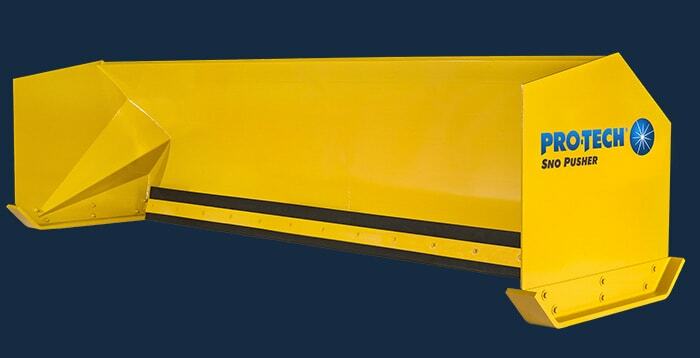 Customers should visit FusionSnoPusher.com or call (888)787-4766 for product pricing and specification details. 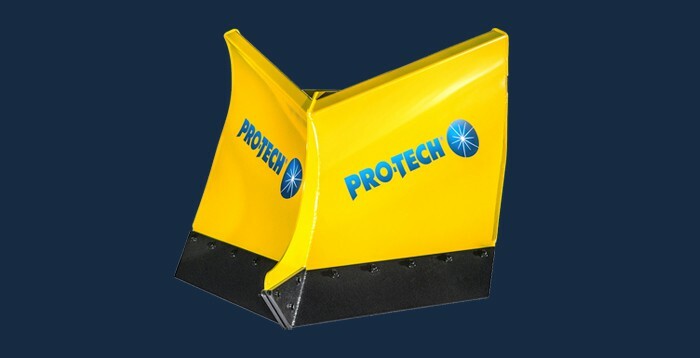 ROCHESTER, NY (June 28, 2018) – Today, Pro-Tech Manufacturing and Distribution, Inc. unveiled the Fusion Edge Sno Pusher, a new containment snow plow that features a combination steel and rubber cutting edge. 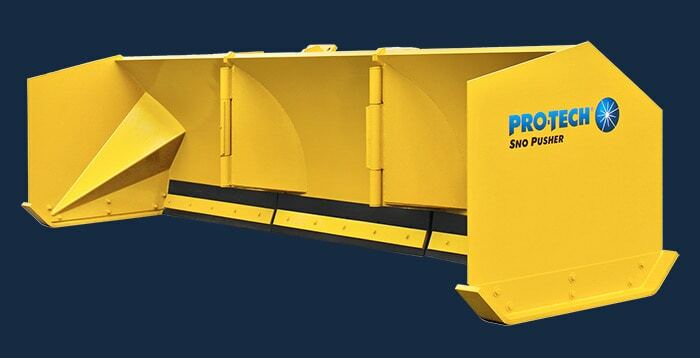 This new Sno Pusher is designed to give customers a containment plow that provides incredible surface outcome, ease of use, and unparalleled durability. The Fusion Edge Sno Pusher’s main highlights focus around three main components: the Fusion Edge, Pro Float Coupler, and Fast Attack Shoes. 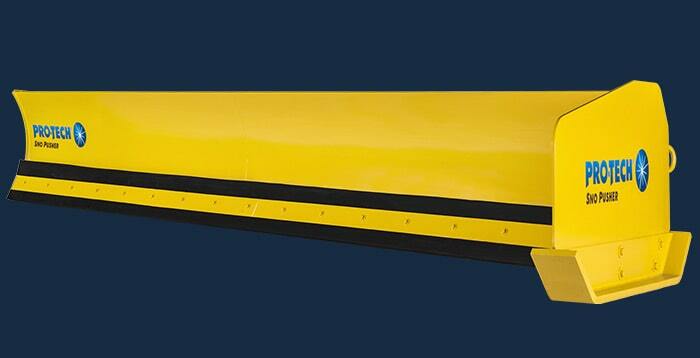 The Fusion Edge is an industry-first for containment snow plows, coming in 24” sections that consist of abrasion resistant steel embedded directly into a rubber cutting edge. 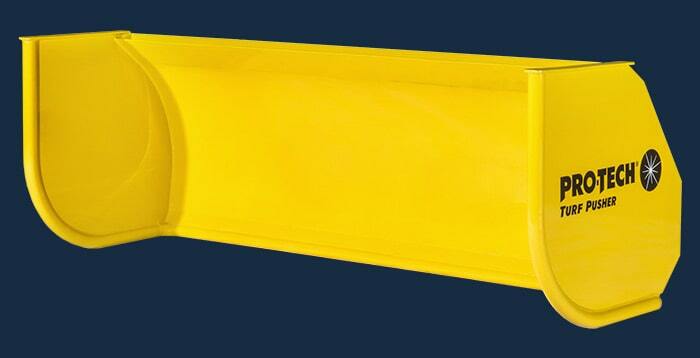 Both steel and rubber compounds were designed specifically for use with a snow plow and are exclusive to Pro-Tech. 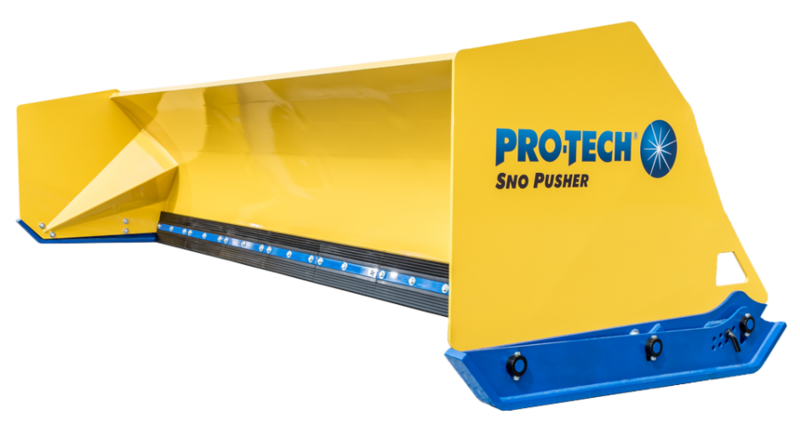 The Fusion Edge Sno Pusher allows customers to both squeegee wet heavy snow (rubber) and scrape pesky hard-packed snow (steel). Steel is fused into both sides of the edge, meaning that when one side is worn, customers simply flip the edge and continue to plow. Built for extreme longevity, the Fusion Edge averages between 350-500 hours of heavy use before needing to be replaced. The short sections of the Fusion Edge (24”) minimize maintenance time if one needs to be replaced. 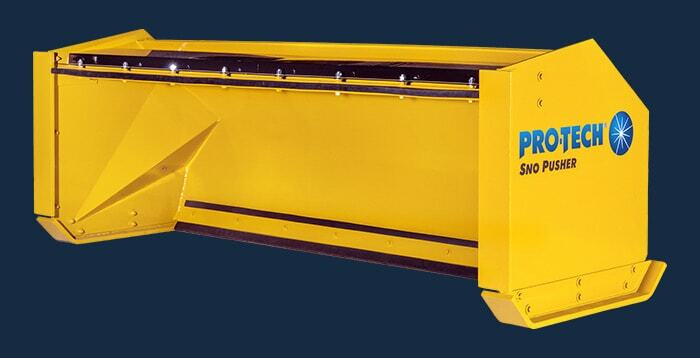 The Fusion Edge Sno Pusher also introduces a new type of coupler design to the industry. The Pro-Float Coupler floats vertically, horizontally, and even oscillates. This feature allows the edge to contour to surface irregularities and variations. 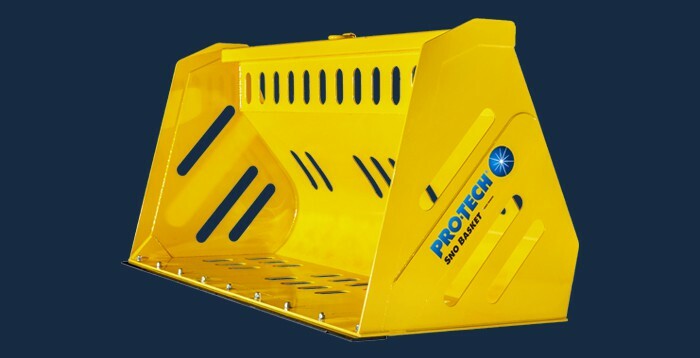 The Pro-Float Coupler is built using a very robust “minimalistic” design, resulting in no speed or stacking limitations and allowing for easy maintenance if required. Customers are also not married to just one style of machine. 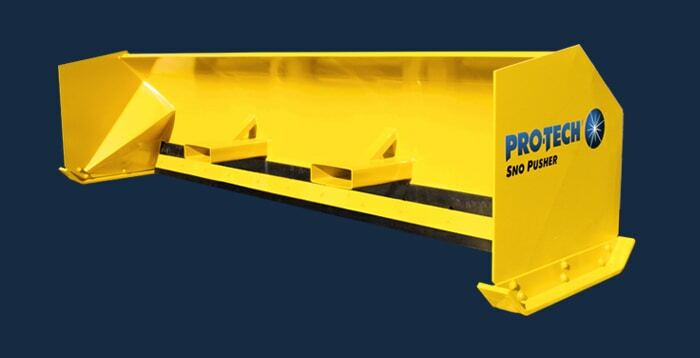 The Pro-Float Coupler’s bolt-on design gives customers the ability to easy swap out connection types. Available options include but are not limited to CAT Fusion, CAT IT, JRB, Euro, Universal, and Pro-Tech’s post style. 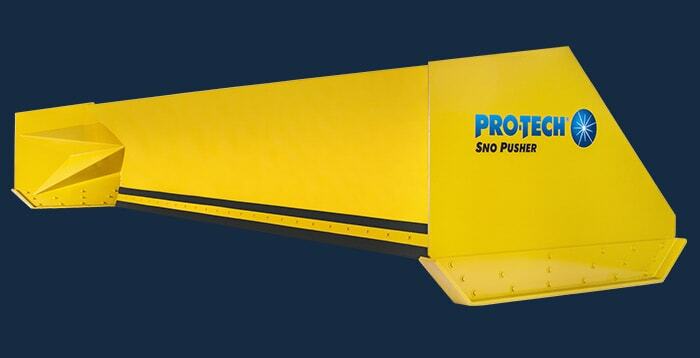 The Fusion Edge Sno Pusher is backed by the Pro-Tech 10 Year Warranty. 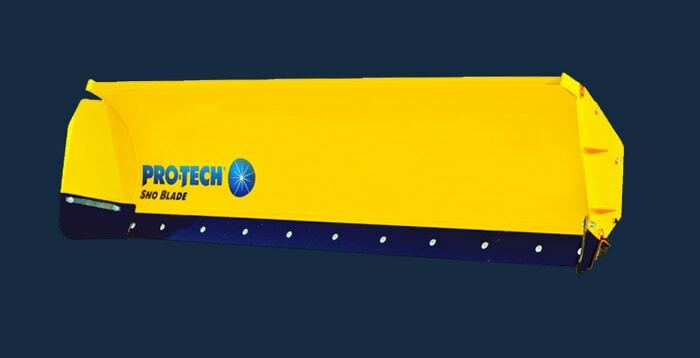 Interested parties can visit FusionSnoPusher.com or call Pro-Tech at (888)787-4766. 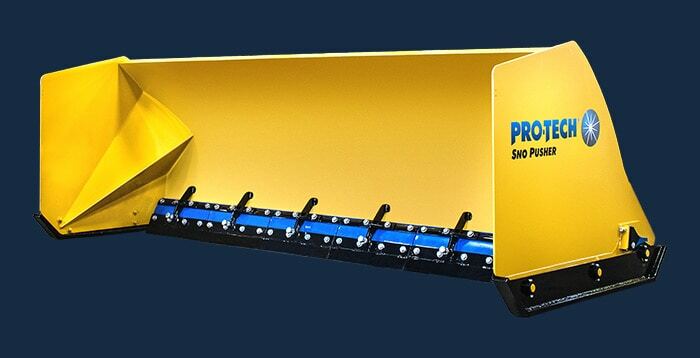 To learn more about the full line of Pro-Tech Pushers, visit our showroom or locate your nearest Pro-Tech dealer.